The Commerce Department is days away from releasing a final report declaring that imported vehicles and auto parts are a threat to national security. What President Donald Trump does with that report is still a wild card. According to Automotive News, the conventional wisdom has been that Trump will follow through on threats to impose tariffs, possibly up to 25 percent, on auto products purportedly to aid domestic manufacturers, though they haven't asked for any such help. The Commerce Department's final report — the culmination of an investigation that began in May under national-security provisions in Section 232 of the Trade Expansion Act of 1962 — is due Sunday, Feb. 17, though it's unclear whether the 35-day partial federal government shutdown has shifted that deadline. Click here for a chart showing average vehicle price increase under new tariffs. Want to make your opposition to auto and auto parts tariffs heard? Register today for AIADA’s D.C. Fly-In in April. For the full story, click here. What kind of financial blow has the widening scandal surrounding Carlos Ghosn delivered to Nissan Motor Co. and Renault SA? Investors are about to get a glimpse when closely watched earnings releases come out this week. Bloomberg reports that the alliance partners have spent the last two months coping with a major reputational hit from Ghosn’s arrest, indictments by Tokyo prosecutors over alleged financial improprieties, and an unflattering spotlight on both companies’ corporate governance controls. Then there’s the sluggish sales in China and the U.S., Britain’s potentially jarring exit from the European Union and huge investments in electric and autonomous vehicles hovering over the entire auto industry. Taken together, these negatives could leave the alliance partners falling behind competitors such as Volkswagen AG and Toyota Motor Corp. in the race to adapt to the changing terrain. For how this could impact the partnership between Nissan and Renault, click here. A new Roadster study says salespeople put deals at risk by stepping away from their customers an average of three to four times during the sales process. Car buyers for years have griped about dealership salespeople who repeatedly leave them to do something out of sight and earshot – often excusing themselves to “talk to the manager.” As vexing as that egregious practice is (as evidenced by it regularly appearing and sometimes topping customer-dissatisfaction lists) Wards reports that it stubbornly lives on. “It’s prevalent,” says Michelle Denogean, Roadster’s chief marketing officer. The study examined the in-store car experience from both the dealer and consumer sides. It found that using in-dealership technology helps cut down on transaction time, but salespeople put deals at risk by leaving their customers an average of three to four times during the sales process. “Leaving a customer alone once isn’t as impactful,” Denogean says. “Doing it three times can cause havoc.” For the full story, and how dealers can empower salespeople to do better, click here. Toyota’s broader light-truck strategy came into sharper focus at last week’s Chicago Auto Show. While the refreshed Tacoma and new trim levels for the Sequoia, RAV4, and Land Cruiser certainly will play a part, the automaker’s actions across its light-truck lineup can be summed up by a single word: More. More Tundras from its pickup plant in San Antonio because another plant can now make more Tacomas, allowing for broader variations and greater improvements in the refreshed 2020 versions. Automotive News reports that Toyota also is adding variants, including the 2020 Sequoia TRD Pro, which aims to boost the off-road chops of one of the brand’s beefiest SUVs. It’s all part of a strategy to strike the light-truck market while it continues to be hot, and doing so -- because Toyota has the resources and discipline to pursue more than one global strategy at a time -- while continuing to invest in its historically strong position in compact and midsize sedans. To see how Toyota’s truck sales have risen in the past year, and for more on its plans, click here. SUVs and some crossovers generally offer high seating position that affords the driver a great view, and that can feel awesome. But if you don't have something heavy to tow, what else are you getting that these alternatives can't provide? According to AutoBlog, wagons aren't just practical. They're also lower, which provides better handling for those who enjoy that, or a greater margin of safety in bad weather for those who don't. And the latest crop is handsome. 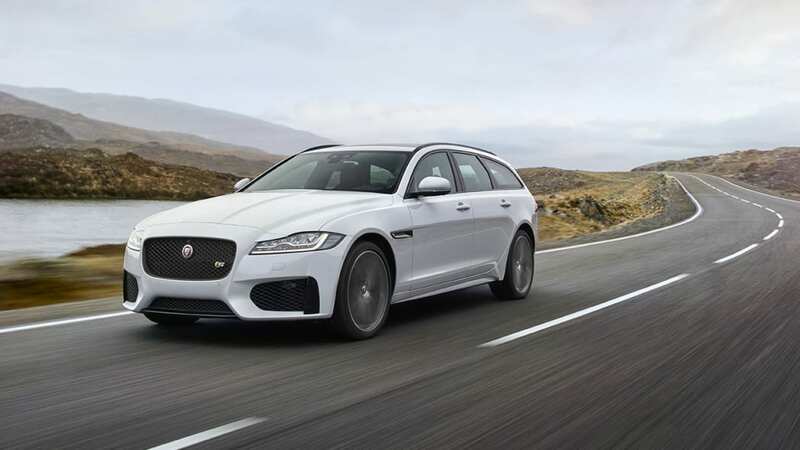 Just look at this Jaguar XF Sportbrake, which makes the handsome F-Pace crossover seem almost homely. Depending on the wagon, you might also get significantly better fuel economy and even a crossover-like ride height. Don't forget about minivans, or sedans equipped with all-wheel drive. All of these alternatives offer many of the advantages of SUVs and crossovers without some of the compromises. Click here to see them all.